Abigail Loraine Hensel and Brittany Lee Hensel are american Co-joined twins. 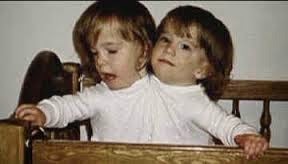 Each twin controls her half of their body, operating one of the arms and one of the legs. 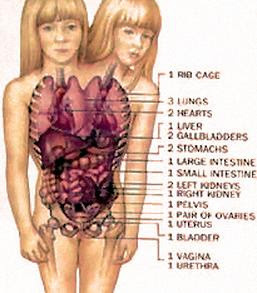 To view how their organs are shared, Click here.